What a night! 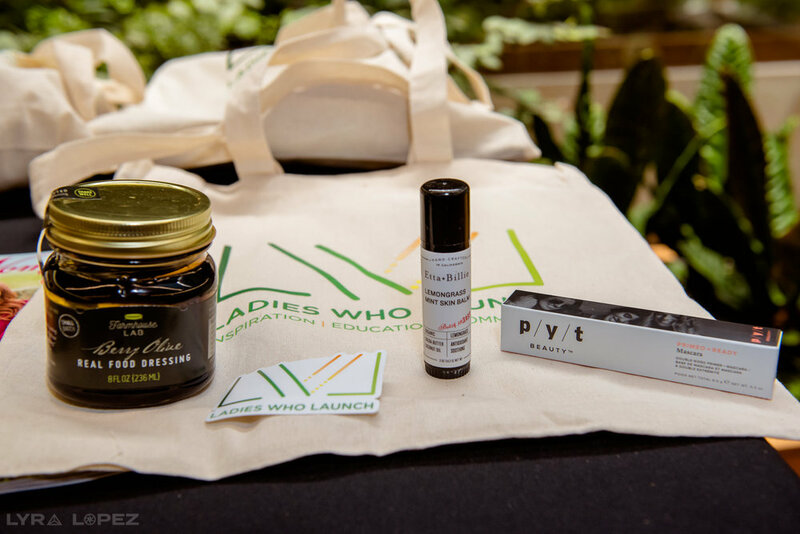 6 years of Ladies Who Launch in San Francisco. As part of saying thank you to everyone who gave their time and effort, I wanted us to take a moment to reflect and remember “the strawberry” (insider comment for those who attended). Each new event brings a new launch of relationships started, communities built, new learnings given, and of course inspiration felt! If you want to follow along and join us on our Ladies Who Launch journey, check out our website for more information on upcoming events. We’re also actively building out content with the hopes that we can be a small part of helping to get women across the globe launching successfully! 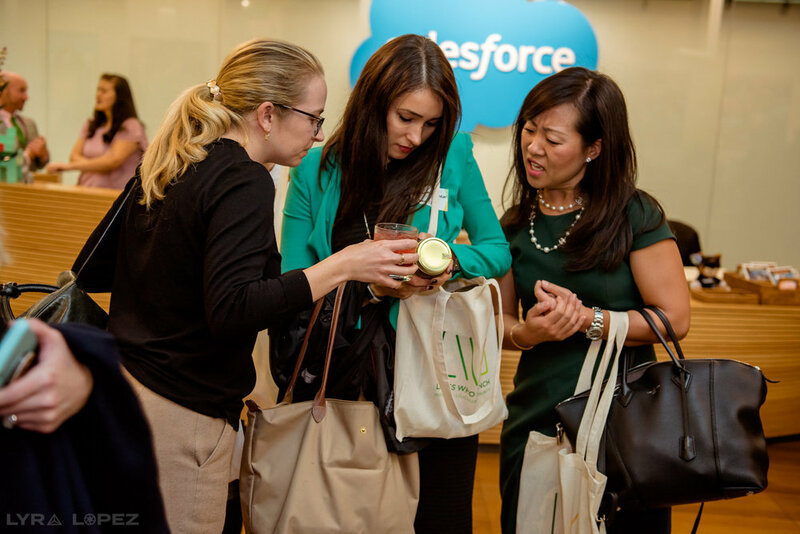 So back to Tuesday evening, and I’ll start with a huge thank you to Salesforce and Marc and Elizabeth for their generous donation of event space. Wow! 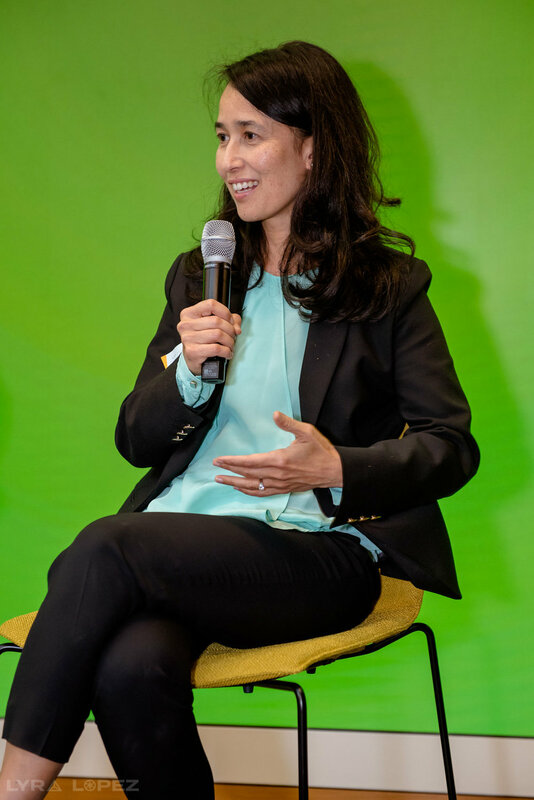 Kara Goldin started us off in style asking “If you arenʼt waking up doing what you want to do, ask yourself why not.” Who will forget her story of how a deeply personal need drove the birth of hint water, and all the goodness, including sunscreen, that has subsequently followed. Her story spoke to finding something that resonates at your core to drive your passion, but also making sure there is a clear customer need before you dive in head first. These same thoughts were echoed throughout the evening. I’m not sure if there was a word of the night - St Louis honed in on authenticity while Dublin talked about advocacy. San Francisco… I’d go with finding purpose. Grainne’s quote on “Change happens when the fear of staying the same is greater than the fear of change” resonated with a lot of nodding heads. More down below on other marketing ideas and tools. Thank you again, panelists! LinkedIn Sales Navigator - do it and do your research before meeting with anyone. Reach out to potential mentors, they can say no but they might also say yes! Slack - everywhere work happens….yes I’m a bit biased as a superfan and board member! Alana with her PR background provided good thoughts for doing due diligence on “competing” with “like-minded” brands in order to find a good set of agencies and earned media to target. And Daniela reminded us to use the product you are advocating for over and over. She also made a great point about adding more value and conversation around marketing your products on social media. In her case, links to recipes that match her amazing salad dressings! Finally we closed with not one, but two superstar leaders, discussing strength in leadership. 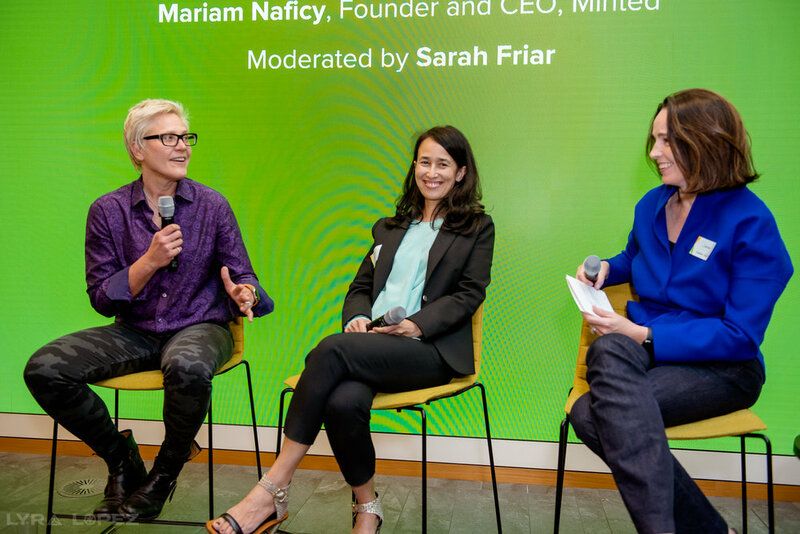 Miriam Naficy from Minted and Anna Collins from Bulletproof. This closing session is difficult to summarize post mortem because the calming energy felt throughout the room was indescribable... perhaps a call to action to come spend time with us (hint, hint)! Both spoke with such conviction and authenticity on how they lead and why they lead. Miriam underscored having “No regrets on how you spend your life” and also advocated that everyone read this book. Anna spoke about having strong principles and tenets to create alignment amongst your team. Recalling her time at Amazon and how they’ve laid out their company operating principles (every leader should check these out and create their own operating principles). Both exuded the quiet confidence but complete humility of extraordinary leaders. Now we just need Alana to bottle and sell that! 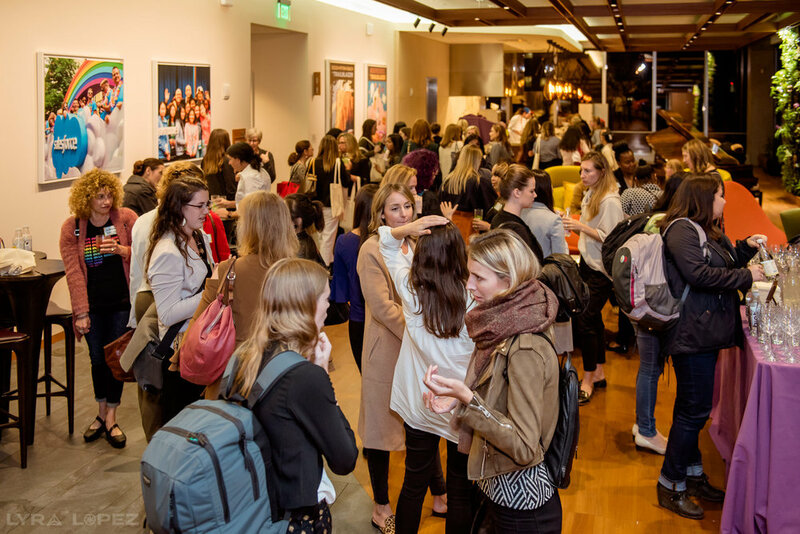 One of the superpowers of LWL is helping women see that they are not alone in their entrepreneurial journey. We seek to provide a safe and authentic space to share ideas, failures, future hopes and tough lessons. Business challenges are rarely novel, and the power of mentors is that they have usually walked in your shoes. So while they may not have the answer, they can at least provide perspective. I’m in reflective mode given my own professional changes over the next few months and so I found the conversation on purpose, taking risks, and having no regrets inspiring and comforting. Thank you all – especially those who volunteered their time and made it all seem so seamless and simple. You are the unsung heroes - I hope you get a “strawberry” feel every time you see the outcome of your work here. We’ve had a busy fall with St. Louis, San Francisco and now on to Belfast on November 15th. 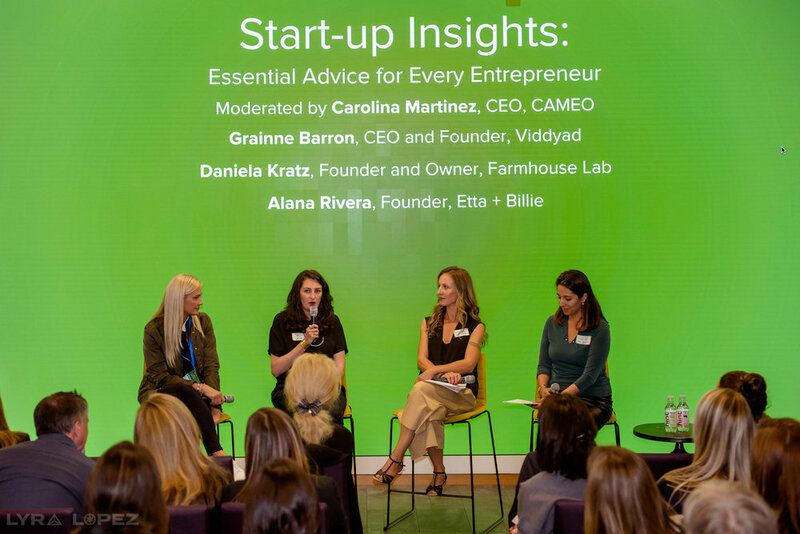 Still top of mind is our own scaling and ways to create more ongoing and long lasting conversations between all of the amazing women we’ve met along the way - we’d love any great ideas or advice you have to build and support this community! Other marketing tips if you want to dive deeper. Take advantage of social media tools: There is no shame in working smarter, not harder. There are plenty of tools out there right now that can save you time, keep you organized, and improve your content creation game. Create a content calendar at least a month in advance, and then using an automated scheduling tool that posts content for you. Sprout Social, Schedugram, and Hootsuite are all great platforms. Use analytics tools either in your scheduling platform or in the native app to understand how your posts are doing and allow you to understand what is and isn't working. You can get a lot of these requests, but often times, the exposure and audience isn’t right for your brand. E.g. 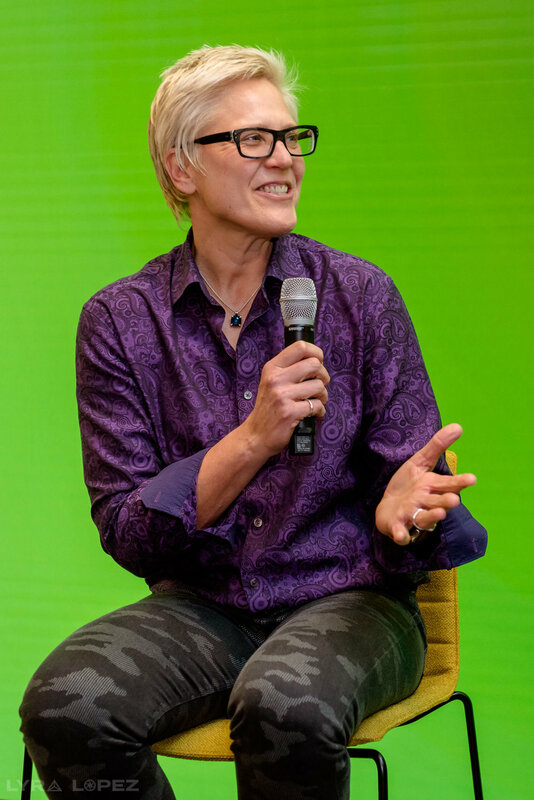 one of our panelists noted that she gets approximately 10 requests per week to participate in sponsored events (and some are so bizarre they’ve actually started a collage on their office walls for entertainment!). Have a very detailed request form that requestors must submit prior to an event so there are absolutely no surprises. Example here. Go beyond sampling--find out if you can tap into their email lists, a gift bag or provide coupons that will help track consumer purchases. Lastly, consider requiring a dedicated photo post and tag on social channels from the event organizers.